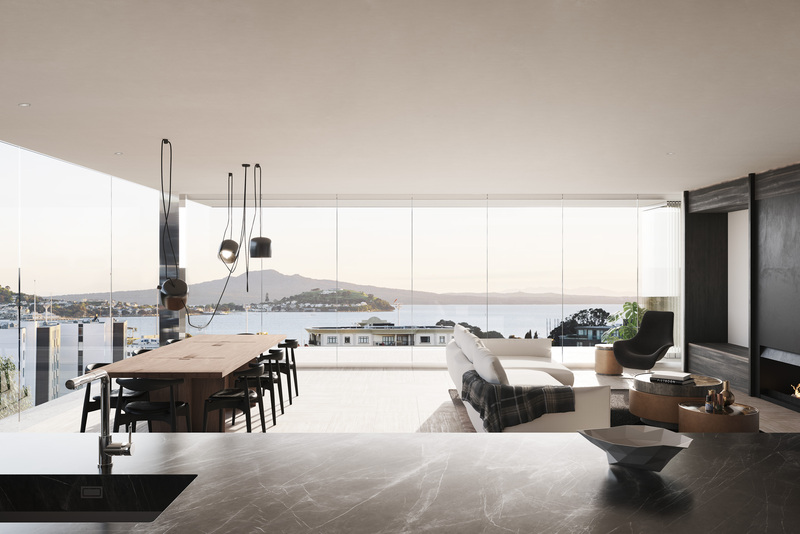 The penthouse apartment at 2 Churton Street, Parnell recently sold for NZ$9.25 million, which broke the record for the most expensive apartment sold in New Zealand. Parnell, in Auckland, New Zealand is taking off with the median property price increasing dramatically in recent times. According to the Real Estate Institute of New Zealand (REINZ), for the six months ending August 2018 the median property price was NZ$1.53 million, versus NZ$1.45 million for the 6 months ending August 2017 - a 5.5 per cent increase. Bindi Norwell, chief executive officer of the REINZ said “sometimes you get big apartments and properties that have quite high premiums that can push up the price”. “Parnell is a very desirable area close to the CBD, with great schools, shops and restaurants.” Ms Norwell told WILLIAMS MEDIA. Ross Hawkins and Jason Gaddes of New Zealand Sotheby's International Realty sold the penthouse, unit 6A, and during the same week sold unit 6B for NZ$8.5 million in the Churton Apartments - both at record prices. The penthouse has stunning harbour views, with high quality construction and fixtures and fittings. Ross Hawkins told WILLIAMS MEDIA the buyer was a local, wanting to move to a more central location. He said there was much interest from buyers “although at this price level there are limited people who can purchase apartments”. “The project was launched by us eight months ago and we have now sold over 50 per cent of the apartments. Mr Hawkins said the Parnell market is “very hot, and we have a shortage of quality homes and apartments in the area”. Russell Thompson, owner of LEP Group developed the Churton Apartments, and said the building is architecturally unique in a number ways, and was designed using the highest quality materials. 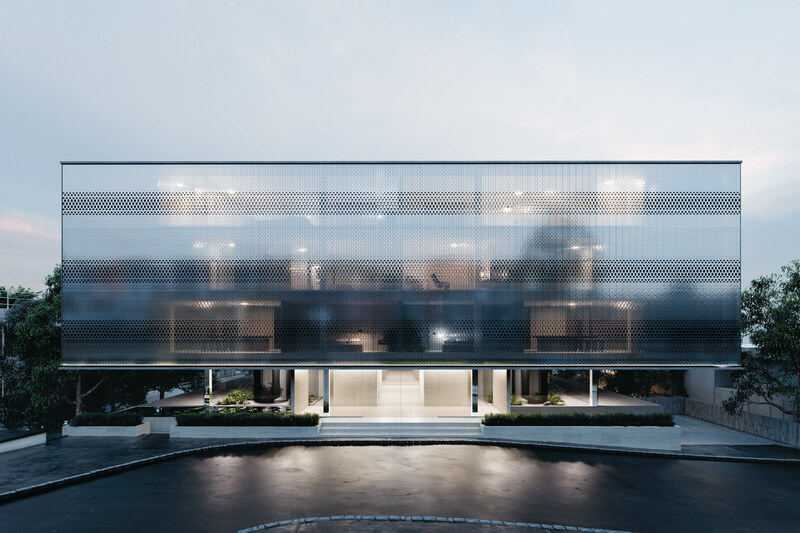 “The building has an Italian glass brick facade facing the street, and the top three floors are cantilevered creating a sense that the top floors are floating, which offers views from the street out to the Hauraki Gulf,” Mr Thompson told WILLIAMS MEDIA. “Creating the cantilevered floor requires a post tension concrete slab, which is more commonly seen on civil projects such as bridges, and is rarely used commercially. Mr Thompson said construction is due to finish in late 2020. Hamish Monk of Monk Mackenzie designed the Churton Apartments, and told WILLIAMS MEDIA the building houses 19 boutique apartments. He said the idea of the street-facing façade of Italian glass bricks, “is not to highlight or play up the structure but make it feel as elegant and effortless as possible - playing on the subtleties between how something performs and how it appears”. “The desire is to create some tension between the heavy masonry structure and the sense of permanence this presents, and the light ephemeral nature of the veil,” said Mr Monk. The units in the Churton Apartments are between 80 and 340m2.